Two young women spend an intense 24 hours together. The idea of a blossoming romance confined to a time limit has been explored in films as diverse as David Lean's Brief Encounter, Vincente Minnelli's The Clock, Nancy Savoca's Dogfight, Richard Linklater's Before Sunrise and Jérôme Bonnell's Just a Sigh. 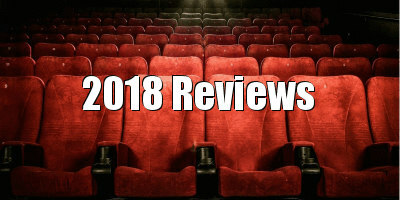 I recommend all of the above, as by its nature, such a format is a recipe for success, drawing the viewer into investing in an onscreen relationship while gifting us the tragic knowledge that it isn't meant to last. There will be few audience members who won't be prompted to recall their own brief moments in the company of someone who made them wonder if they might be the elusive 'one'. For his latest film, Duck Butter (careful googling that term in the office), prolific director Miguel Arteta puts a spin on the premise of a brief encounter. His 'lovers', struggling Los Angeles actress Naima (Green Room's Alia Shawkat) and Spanish chanteuse Sergio (Laia Costa, last seen as the titular protagonist of one-take thriller Victoria), aren't forced by circumstance to part, rather they decide to embark on an experiment to spend 24 hours together, making love (churning the titular substance) once every hour, and departing when their self imposed time limit is up. "We're conquering time," Sergio enthuses, cynically implying that every romance has its own sell by date, and by engaging in their experiment she and Naima can dismiss with the years of a slowly dismantling relationship. 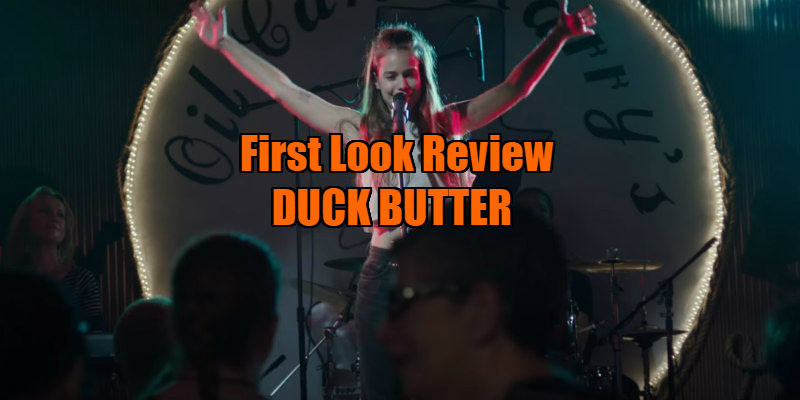 There's a lack of balance to how Duck Butter's two lovers are presented to the audience. We spend time with Naima as her intrusiveness on the set of a Duplass brothers film (Mark and Jay appear as themselves, as does comic star Kumail Nanjiani) leads to the directors firing her from their movie. We're given a glimpse of Naima as someone who is her own worst enemy, but conversely Sergio is merely introduced through Naima's eyes as a thinly drawn goofball, a lesbian riff on the Manic Pixie Dream Girl trope. 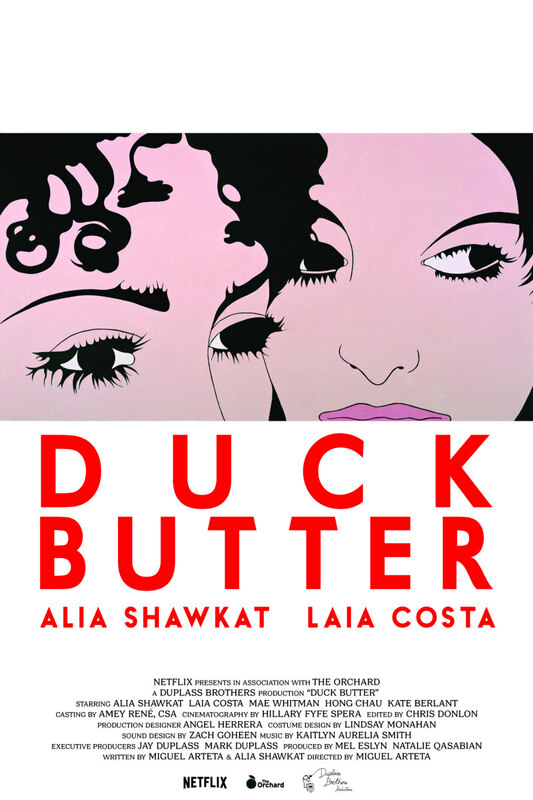 Arteta and Shawkat are credited as Duck Butter's screenwriters, but the film has an improvisational nature, particularly the intimate scenes between Naima and Sergio during their experiment. While Shawkat's Naima comes across as a troubled and layered young woman, arguably because she's played by the film's co-writer, Costa's Sergio never feels remotely real, to the point that I began to expect a twist reveal that she was merely a figment of Naima's imagination. As pretty as Sergio is, her exaggerated quirkiness is so intensely annoying that I don't think I could endure 24 minutes in her presence, never mind 24 hours. There's a commendable rawness to Duck Butter's portrayal of sexual intimacy - a million miles away from the laughably choreographed softcore heavy petting of something like Blue is the Warmest Colour - and a cut that takes us immediately from Sergio passing gas to Naima dining out on the same hole said gas was ejected from feels positively subversive in its honesty. Mae Whitman, who was so brilliant in the 2015 teen comedy The DUFF, pops up briefly here as Naima's friend, and I can't help but wish the film had explored her relationship with Naima rather than Sergio's. Naima has the potential to be a fascinating character, and those early scenes prior to her encounter with Sergio feel like they belong in a different, more intriguing film, but Sergio brings out the worst in Naima, and in the film itself. Duck Butter is in NY/LA cinemas April 27th with a US VOD release May 1st. A UK/ROI release has yet to be announced.